You are here: Home / Cancer Treatments / St. John’s Wort Plant: A Little Known Cancer Aid? The yellow-flowering St. John’s Wort plant (SJW) is widely known as an herb that can help elevate mood and ease depression. What may not be known about this unassuming yet hardy plant (scientific name Hypericum perforatumis) that its anti-inflammatory and detoxification capabilities may also provide assistance for those with cancer. According to the Cochrane Report of Systematic Reviews for 2008, St. John’s Wort is better than placebo for patients with major depression as well. They found that its effects were similar to typical antidepressants and resulted in much fewer (if any) side effects. If you are concerned about cancer or are dealing with a cancer diagnosis, research has found a direct link between depression and the development of cancer. A January 2017 study conducted at the University of London analyzed the data from 160,000 people and found that those who suffered from “psychological distress” had a 32% greater chance of cancer morbidity. Even if you are not considering St. John’s Wort as part of a natural healing protocol (more about that in the next section), if cancer has gotten you down or if you have a history of depression and/or toxic anti-depressive drug use, switching to St. John’s Wort may be an option worth discussing with your healthcare provider. What ancient peoples knew for thousands of years about Hypericum perforatum (SJWE), modern science is just now beginning to gather evidence about. 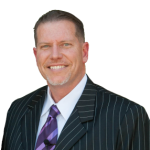 What they are finding is that the same principles that make SJWE such a healer for neurological balancing can also provide relief for other systems in the body. 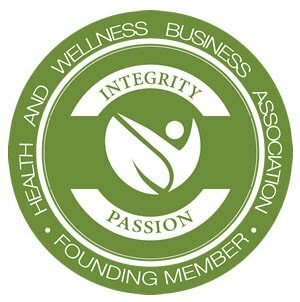 SJWE is an anti-viral, anti-inflammatory and, most importantly, a major supporter of the body’s most important detoxification pathways. Did you know that 80% of the energy created in the body goes towards supporting the detoxifying organs, especially the liver? 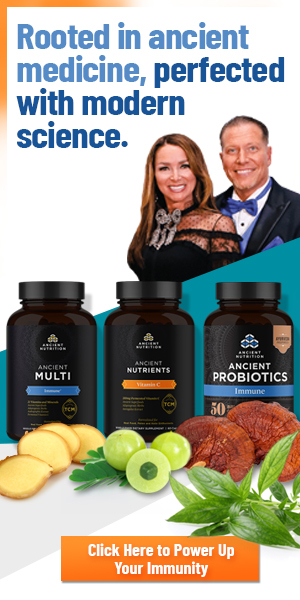 The detoxification system − which includes the liver but also the kidneys, intestines, respiratory tract, skin, and lymph system —protects the body from potentially harmful toxins. 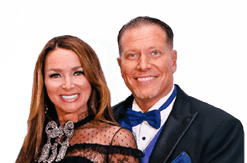 The detoxification process works through “pathways” throughout the body that involve these organs and also through key enzymes that are present within every organ of the body. The specific “messaging” for these enzymes begins at the genetic level. However, experts in the field of epigenetics note that the root cause for the vast majority of disease conditions are environmental factors that can affect genetic expression. 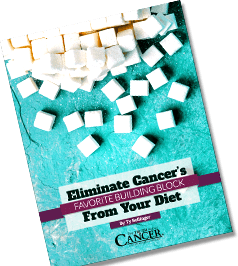 One of the major reasons why cancer rates continue to rise is not only because we are exposed to more toxins than ever before, but also because, in the process, our detoxification pathways are becoming overloaded. This allows harmful pathogens to run rampant. The CYP detoxification pathway is one of the major avenues through which substances are broken down and detoxification occurs in the body. This pathway is made up of particular enzymes (also called P450 enzymes) that are found in pretty much all life forms. In humans and other mammals, they are particularly found within liver cells and are responsible for breaking down proteins to make them more water soluble. CYP detox pathway enzymes also help with hormone synthesis, cholesterol synthesis, and vitamin D metabolism, amongst other things. St. John’s Wort seems to provide support for the CYP detoxification pathway, in particular for an important detox enzyme called CYP3A4. 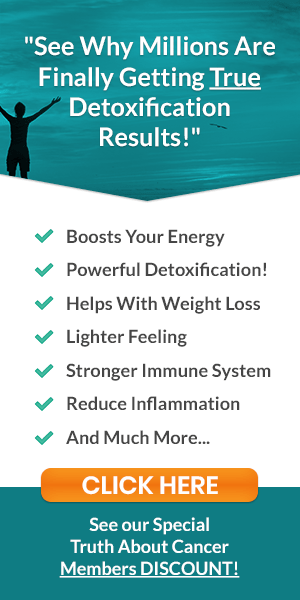 It provides specific support for the liver and in helping us detoxify carcinogens. Indeed, helping to maintain a healthy liver and other detoxification pathways is one way St. John’s Wort can be your ally for cancer prevention. But St. John’s Wort has also demonstrated its ability to inhibit cancer growth directly.  Can This Component in SJW Promote Cancer Cell Death? A 2004 study published in the journal Cancer Research focused on St. John’s wort’s effectiveness on lung cancers in mice. After daily administration of St. John’s wort extract, they found that the mice had “remarkably reduced inflammatory infiltration” and that cancer metastasis rates had reduced by up to 48%, with no marked change in mouse behavior. Similar findings have occurred with prostate cancer studies as well. Still other studies have noted SJWE’s effects specifically on certain cancer-related pathways, the regulation of cytokines, and cancer cell mitochondria pathways. Does St. John’s Wort Plant Help or Hinder Conventional Cancer Therapies? According to some, SJWE may actually help the effectiveness of chemotherapy drugs such as 5-fluorouracil, oxaliplatin, and raltitrexed. This is because SJWE has been found to improve tolerability, decrease side effects, and improve the response rates of these drugs. So, say Yance and others, while St. John’s wort may decrease blood levels of pharmaceutical drugs, this does not necessarily mean that it reduces their effectiveness. In fact, very recent studies have now begun to look at combining St. John’s wort with pharmaceuticals as well as radiation therapy for an integrative protocol to cancer. Whatever opinions exist as to the relationship between St. John’s wort and pharmaceutical drugs, one thing is for sure: this humble little plant is a powerhouse of health for your liver and for health brain function, which makes it a go-to natural substances for cancer prevention. What’s more, an increasing body of evidence is pointing to its direct effectiveness against cancer on several fronts. 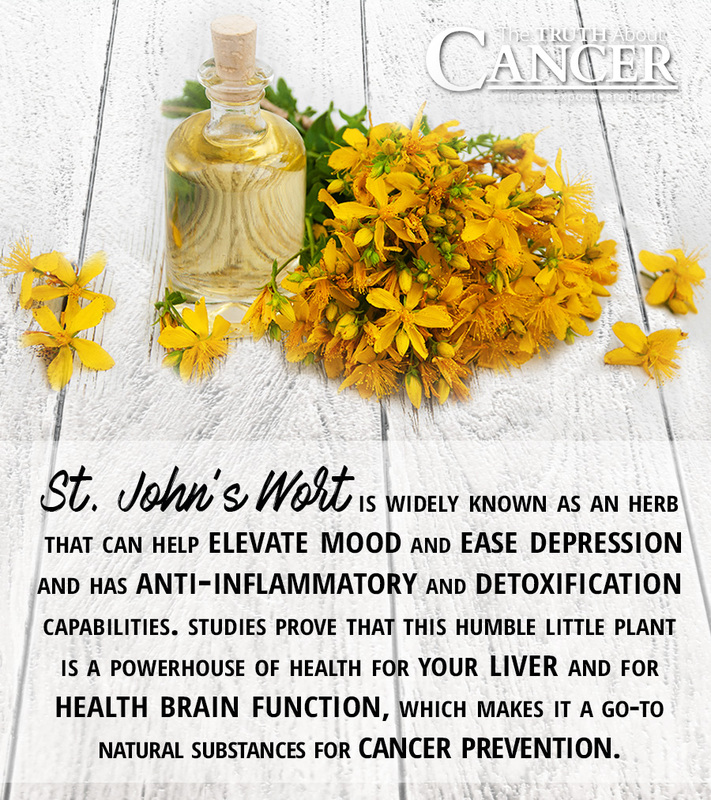 Please help bring more awareness to St. John’s Wort and its cancer-fighting properties by sharing this article with your friends and family below. The yellow-flowering St. John’s Wort plant (SJW) is widely known as an herb that can help elevate mood and ease depression. What is lesser known is that its anti-inflammatory and detoxification capabilities may also aid those with cancer. St John’s Wort has been shown in major studies to have a definite effect on depression. According to the Cochrane Report of Systematic Reviews for 2008, St. John’s Wort is better than placebo for patients with major depression. They found that its effects were similar to typical antidepressants and resulted in much fewer (if any) side effects. Research has found a direct link between depression and the development of cancer. A 2017 study found that those who suffered from “psychological distress” had a 32% greater chance of cancer morbidity. One major reason for the rise in cancer rates is not only exposure to more toxins than ever before, but also because our detoxification pathways are becoming overloaded. St. John’s Wort extract is anti-viral, anti-inflammatory and a major supporter of the body’s most important detoxification pathways. 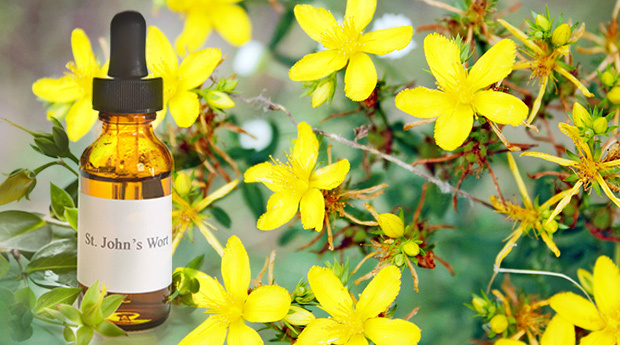 St. John’s Wort has also demonstrated its ability to inhibit cancer growth directly. One of St. John’s Wort’s main components is hyperforin. Recent research has shown that hyperforin can promote cancer cell apoptosis (i.e. cancer cell death). Other studies have noted SJWE’s effects specifically on certain cancer-related pathways, the regulation of cytokines, and cancer cell mitochondria pathways. The debate continues as to whether St. John’s Wort helps or hinders conventional cancer therapies, especially the effectiveness of chemotherapy drugs. Very recent studies are looking at combining St. John’s wort with pharmaceuticals as well as radiation therapy for an integrative protocol to cancer. St John's Wort for Depression − An Overview and Meta-analysis of Randomised Clinical Trials. St John's Wort for Major Depression. Comparison of the Growth-inhibitory Effect of Hypericum Perforatum L. Extracts, Differing in the Concentration of Phloroglucinols and Flavonoids, on Leukaemia Cells. Hyperforin, A New Lead Compound Against the Progression of Cancer and Leukemia? St. John's Wort Attenuates Irinotecan-induced Diarrhea via Down-regulation of Intestinal Pro-inflammatory Cytokines and Inhibition of Intestinal Epithelial Apoptosis. Thank You so much for your information, I look forward to your emails every day.